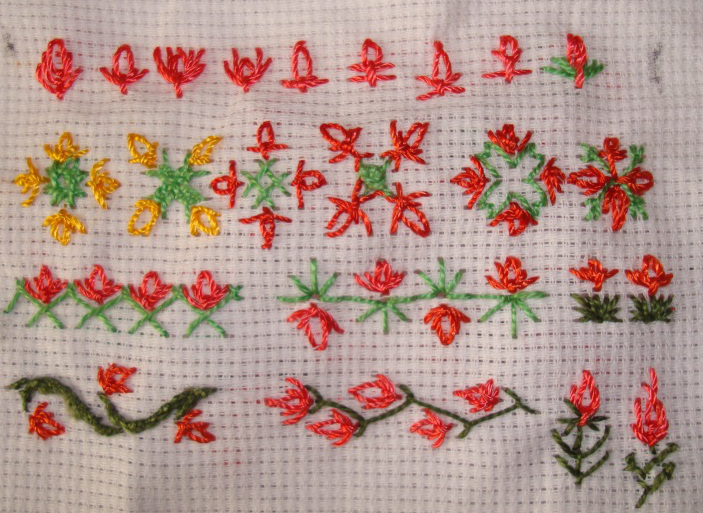 I worked this stitch with another two stitches and completed this sampler. 7.The first row is with wrapped coral stitch and the next row is with sheaf stitch. I really enjoyed working on these sample stitches. It is a lovely stitch. Slipped detached chain stitch sampler worked with other stitches. 4. The leaves are worked with detached chain stitch in the first sample, woven chain stitch leaves are worked in the second sample. Half chevron stitch, curved chain stitch are worked with this stitch in the next sample. Buttonholed herringbone and french knots are combined to form the last sample. This week’s stitch was not announced because Sharon was not feeling well enough to post the details of the stitch. I think she is better now. I had missed a few stitches when I had gone to India for my nephew’s wedding. This stitch was the 68th week stitch on this TAST 2013 challenge by SharonB. 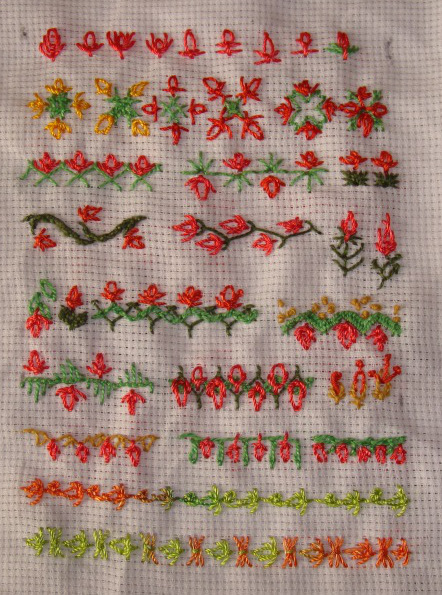 I had done this stitch sampler during the earlier TAST challenge. I am trying to incorporate this stitch with other TAST stitches this time. 2.The stitch combinations are- herringbone, Algerian eye variation and another Algerian eye variation. 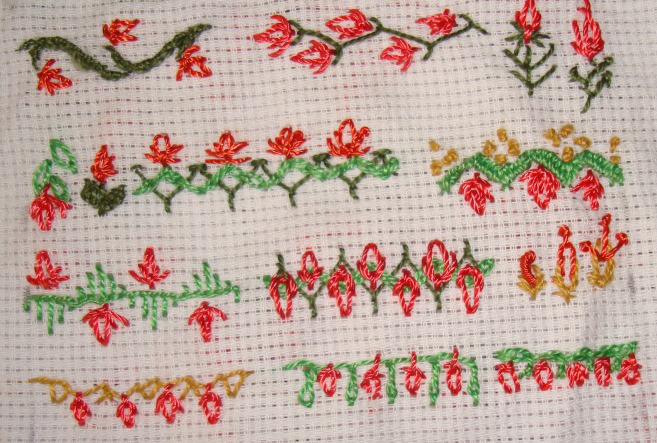 Portuguese stem stitch, feather stitch, fly stitch and pistil stitches are worked in these samples.